Step #2 – Open a lead profile by clicking the leads name or the “Eye” icon. 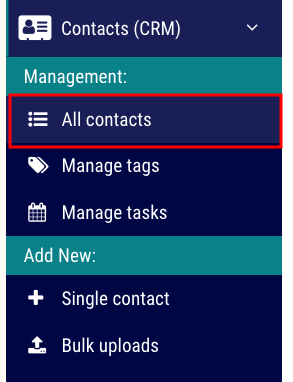 Step #3 – Once you are in the lead profile page open the section called “Text Message History”. In this section you will find all of the text messages sent and replies for that lead. You can also reply back to a lead right from the history section as well.